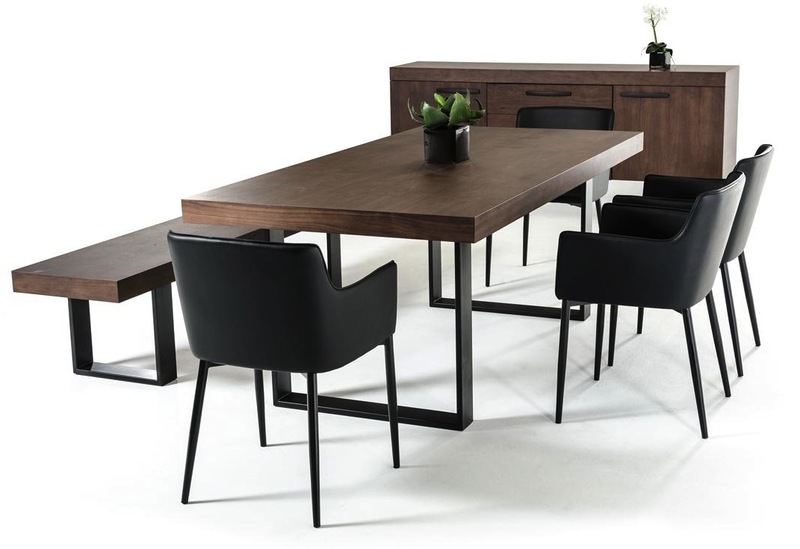 The Herald dining table will make a beautiful addition to your dining room. This unique finish was created by brush washing a light grey over the elm wood finish. 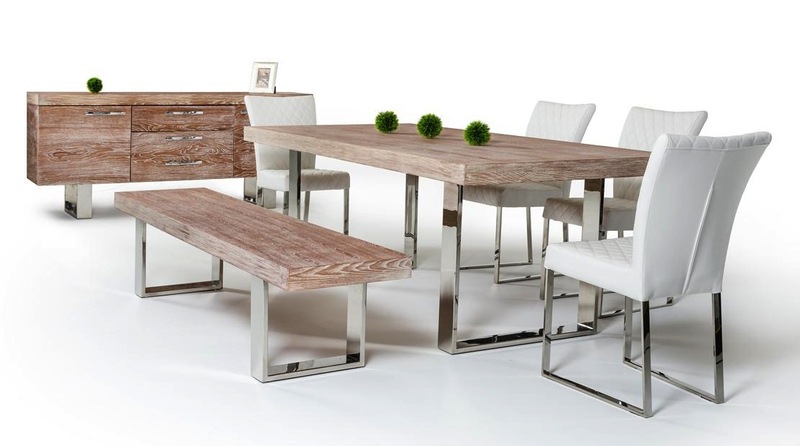 Stainless steel base adds a contemporary touch to the natural look of this design. Herald Gray collection also available in buffet, coffee table and bench.